University of Leicester Centenary Scholarships 2019 for Undergraduate Students. University of Leicester Centenary Scholarships 2019… Are you interested in pursuing your undergraduate Study in UK? If yes, here’s an opportunity for you. The University of Leicester invites applications from students who want to undertake their Undergraduate program in the institution. The University of Leicester, UK invites applications from Individuals who are looking to pursue an Undergraduate degree program in the University. The scholarships recognize students who have overcome adversity or made sacrifices in pursuit of their goals, ideally in service to something greater than themselves. Each Centenary Scholar will be awarded a one-off £1,000 cash scholarship to help them with their studies and living expenses. If you need us to feed you with more updated information at the right time about University of Leicester Centenary Scholarships 2019, kindly provide us your phone number and email Address in the comment box below. 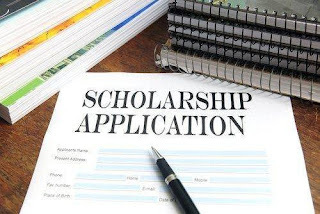 University of East Anglia International Excellence Scholarships 2019 for Undergraduate Students.